Mould has been an issue for homes on the West Coast since people first inhabited these gorgeous shores, but in today’s day and age, it continues to wreak havoc. In this article, we are going to provide you with a few tricks and tips to ensure you can tell if you have a mould problem. Mould has a very particular smell, and it truly stinks. If you notice an unpleasant odour in a specific room, it might mean that mould is living within the walls. The best way to determine if you do have mould is to call a company like Urban Environmental, who can run tests and start the abatement process if needed. You might be able to see the mould before it starts to become an issue. Generally, you will be able to see mould that is easy to distinguish between it and common soap scum you would find in a shower stall or tub. As well, you may be able to spot mould in damper areas in your home like the furnace room, garage or basement. If you do see mould, now is the time to call Urban Environmental to ensure your mould can be abated immediately. If you have been dealing with a variety of water-related issues such as leaks or water damage, your home is quite susceptible to mould. If you do discover moisture, you will need to start to find the source of the moisture. If you are unable to find the source, do not fret, but you do need to keep an eye out on the area. Moisture breeds mould, and although you might not see any at the moment, a mould colony can spring up practically overnight. Focus on identifying and fixing the moisture source will go a long way in ensuring your home is mould free. Because mould cannot always be seen, it should be no surprise that one of the first signs of a mould infestation is flu-like symptoms. From raspatory issues including coughing, shortness of breath and constant dry coughs, too cold or flu symptoms including a running nose and allergy-like symptoms. 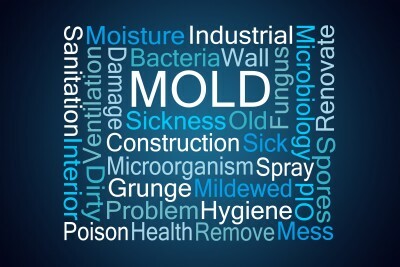 If you are experiencing chronic issues, it might be due to mould! Mould is not something to play around with, and if you suspect mould in your home, you need to call the leaders in mould abatement in and around Vancouver, Urban Environmental.